Children in Louisiana will soon be able to wear bulletproof backpacks to school. 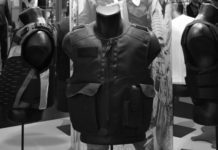 On Tuesday, the House overwhelmingly voted 82-6 to let students wear protective body armor while on campus and on school buses. The law currently in Louisiana forbids body armor from being worn on school property. The senate had previously cleared the bill with huge support. Tests show that backpacks fortified with protective body armor could stop rounds coming from handguns and shotguns. However, bullets shot from an AR-15 or other types of high-powered rifles could not be stopped by bulletproof backpacks. And this is the type of firepower that has parents worried most. “This is a very sad topic that we’re discussing – children having to wear body armor at school to be safe,” Representative Barry Ivey said on the floor of the House to his colleagues. Representative Nancy Landry, R-Lafayette, proudly proffered the legislation. She explained that the backpacks contain inserts made of Kevlar or some other bulletproof material and come with a $50 to $400 price tag. 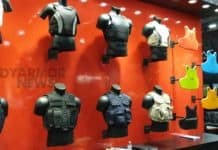 Protective body armor issued to law enforcement and security guards is typically made of Kevlar. This is a synthetic material with extraordinary tensile strength. What makes the material bulletproof is the molecules being lined up parallel to each other while being very tightly bound. 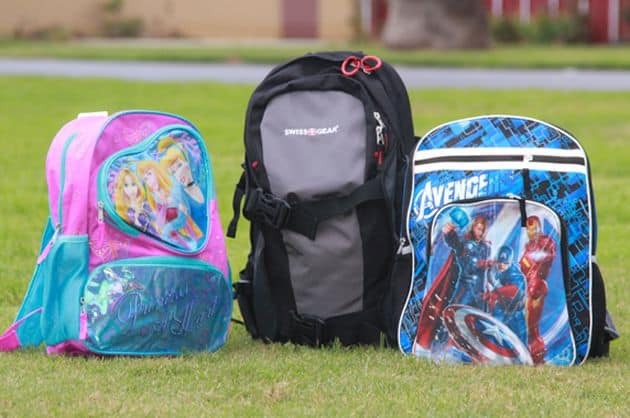 Representative Barbara Norton, D-Shreveport, expressed her worry that the price of these bulletproof backpacks would make it impossible for poor families to buy them. Another concern she voiced is that the inserts would fly in the face of local school regulations that require mesh or transparent see-through backpacks. Landry explained that the body armor was optional and that fundraisers could be held to allow families that cannot afford them to obtain them for their children. Representative John Anders, D-Vidalia wondered how the bill would be implemented if school boards were against it. “I honestly think they would all be in favor of it,” Landry said, mentioning that the school board association members on the Education Committee in the House have not expressed any opposition. Senator Mike Walsworth, R-West Monroe proposed the legislation after the tragedy last February at Marjory Stoneman Douglas High School in Florida. This was when a 19-year-old entered and killed 17 students and staff with a semi-automatic rifle. Walsworth said that the teachers he has spoken with have stated that they would rather students have bulletproof backpacks than teachers being armed. The Senate Judiciary Committee also advanced legislation that had been heavily amended to initially allow people not employed by the school to carry firearms on school grounds. Senator Norby Chabert, R-Houma, offered an amendment to this bill that softened it. This would allow people who posses a concealed carry permit to bring their firearm as far as the school’s property line, but no further and definitely not on campus. Senators Ronnie Johns, R-Lake Charles; J.P. Morrell, D-New Orleans and Chabert voted in favor of the bill. Senators Karen Carter-Peterson, D-New Orleans, and Gregory Tarver, D-Shreveport voted against it.